Nominations are now being solicited by the Vanderbilt School of Medicine for recipients of the Dr. Levi Watkins Jr. Faculty Award and the Dr. Levi Watkins Jr. Student Award. The school also announces details of the 16th Annual Levi Watkins Jr., M.D., Lecture. The lecture will feature keynote speaker Dr. Levi Garraway, senior vice president of global development and medical affairs for Eli Lilly & Co.’s oncology business, and is set for Oct. 10 at noon in 208 Light Hall. The lecture is sponsored by the Office for Diversity Affairs at Vanderbilt School of Medicine. This award is presented annually to at least one member of the Vanderbilt University School of Medicine faculty or administration who has made outstanding contributions to the institution in fostering opportunities for underrepresented minorities in our educational and/ or research programs. The award also recognizes individuals who have contributed to increasing diversity at the Medical School. Please send letters of nomination to Lashonda Moore, Office for Diversity Affairs, no later than Sept. 22, 2017. This award is presented annually to at least one graduate student and one medical student associated with Vanderbilt University School of Medicine who have made outstanding contributions to the institution in fostering a more diverse environment that is enriching, encouraging and embracing to all Vanderbilt Medical School students, faculty and administration. Please send letters of nomination to Lashonda Moore, Office for Diversity Affairs, no later than Sept. 22, 2017. 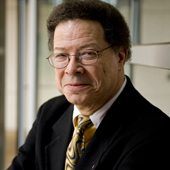 About Dr. Levi Watkins Jr.
Dr. Levi Watkins Jr., MD’70, has made significant contributions toward increasing opportunities for underrepresented minorities in the sciences. A distinguished physician and researcher, in 1966 he became the first African American student to be admitted to Vanderbilt University School of Medicine. He graduated in 1970 and was selected a member of the Alpha Omega Alpha medical honor society. He continued his training at Johns Hopkins and Harvard. Watkins embodies the attributes important in serving as a renowned role model for those who pursue careers in medicine and the biomedical sciences. At the time of his death in 2015, he had retired just two years earlier from Johns Hopkins University School of Medicine, where he was a renowned professor of cardiac surgery.